The tale takes place in a cold winter , Galicia , Northern Spain , along Camino Santiago and everyone knows that until you reach Santiago, anything can happen . Two prison convicts , Ramon (voice by Carlos Blanco) and Xavier (Luis Tosar) escape from prison , one of them attempts to retrieve a loot hidden years ago in a lonely village . It is a thrilling as well as eerie story about a few characters , and the challenges we face while navigating this ever-spooky as well as complicated Santiago paths . 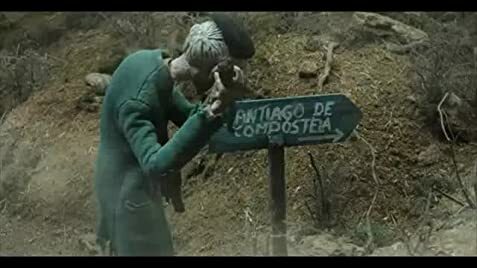 It covers the pilgrim route to Santiago De Compostela where our starring meets sinister elders , weird disappearances , creepy spirits , pagan traditions are still alive , a peculiar priest , Nosferatu-alike , and even the Archpriest of Santiago (voiced by Paul Naschy or Jacinto Molina) along with his helper Pablo (Jorge Sanz) will cross their walks in a history of horror . This exciting story has local myths , Galician legends , here we get the folklore , traditions , history of the north of Spain and many other things . Apóstolo isn't only the latest animated offering from Spain, but it reflects upon Spain's rich history in film animation , it stands out with awesome marionettes . For some, the more recent "Planet 51" was considered a major landmark due to the budget size , overseas box office, and the huge technical advances it made in rapport to previous films in the genre, but the latest animated offering has since shifted plans, is a bigger, more detailed, stereoscopic 3D item that is poised to become a benchmark in the animation field. The puppets are magnificent , they create the adequate movement and are beautifully made. The story and the mood are closely inspired by the likes of Tim Burton's "The Corpse Bride", and even the animated dolls bear remarkable resemblance to classic muppets "Thunderbirds" by Gerry and Sylvia Anderson . Voiced by a known group of Spanish actors such as Jorge Sanz as Pablo ,Geraldine Chaplin , Manuel Manquiña , Isabel Blanco , Luis Tosar who looks exactly like his role as an inmate in "Celda 211 and special mention to Paul Naschy as the archpriest who grabs a science-fiction magazine , and in fact the cover of the magazine is a picture of Paul Naschy from a previous horror movie. Mysterious and evocative musical score from Xavier Font , Arturo Vaquero and prestigious Philip Glass . Directed by newcomer Fernando Cortizo, he carries out a good and groundbreaking realization which was set to have its world premiere at Sitges International Fantastic Film Festival and Malaga Festival where achieved a lot of success . Director Fernando Cortizo chose to have the actors record their dialogue outside of a studio and on location to increase the naturalness. 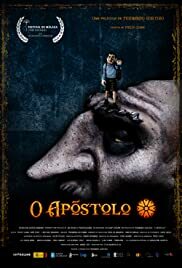 O Apóstolo is unlike previous films in the genre since it's one of the first animated films in Spain in which the target audience is for mature audiences.